Twas a rainy day in my garden today… my camera never made it outdoors. However, yesterday on a visit to the Royal Botanic Garden of Edinburgh we had sunshine and a cool breeze and a few blooms caught my eye. First there were the poppies. It’s been a few years since I’ve had them in my garden. 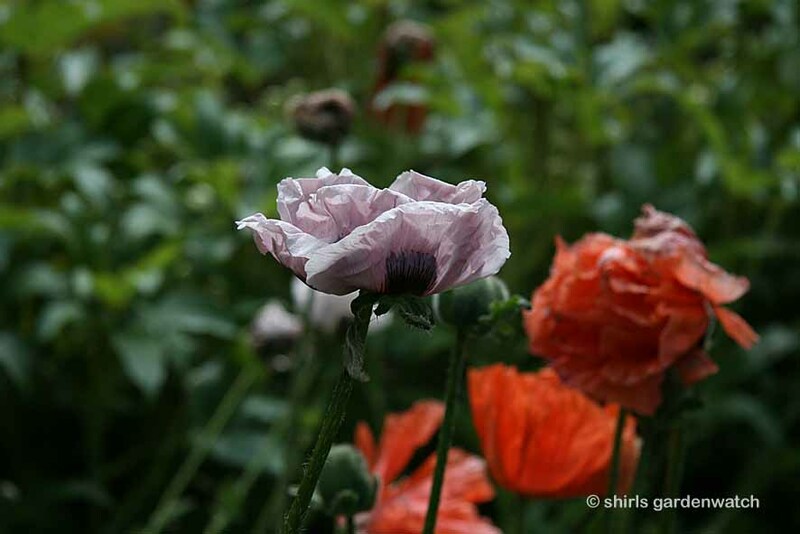 How pretty the poppy looks in all stages of growth and what a wonderful selection of colours from bright to pastel. 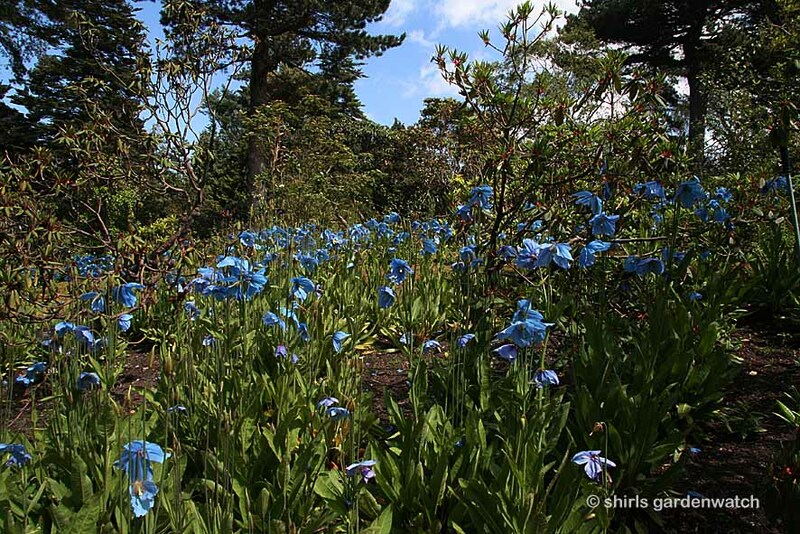 Then there were the Irises. I can never really decide if I am a fan of this plant for my own garden but I can’t deny they are striking when I see their markings up close. I am a fan of the deep red thistle blooms of Cirsium rivulare (as are visiting bees) and recently I have moved some around my garden. As for the deep red Astrantia, I have finally added it to a newly revamped border and when we get a dry spell I’ll get my camera out and share how it is settling in. 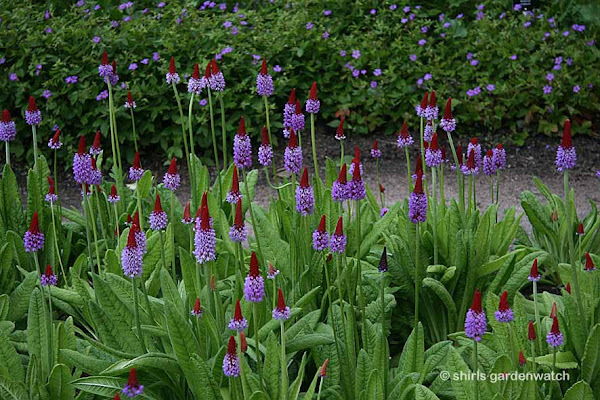 Oh… I always swoon when I see plantings of Primula vialii. 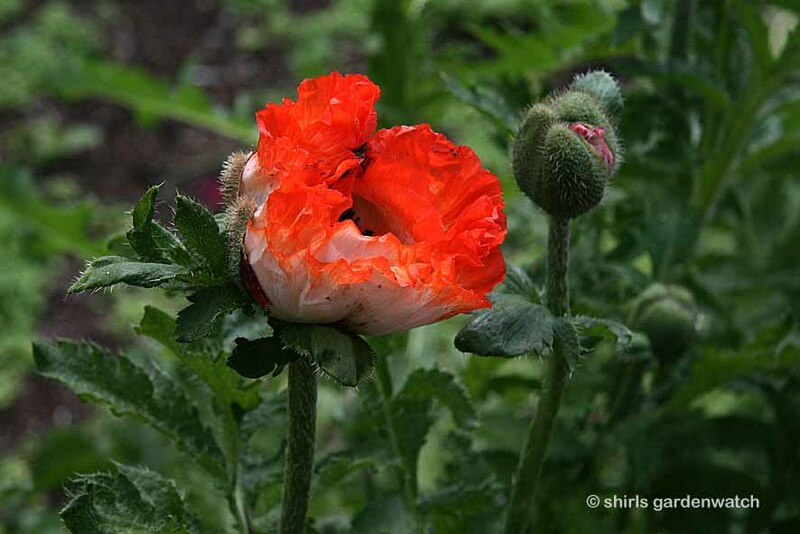 I have tried to grow it in my garden but lost it. Perhaps I disturbed it and it wasn’t happy about that. It’s maybe time to try it again in my new border. On the other side of the path cranesbill geraniums scramble – I love this plant too and pink ones can be found in my new border. 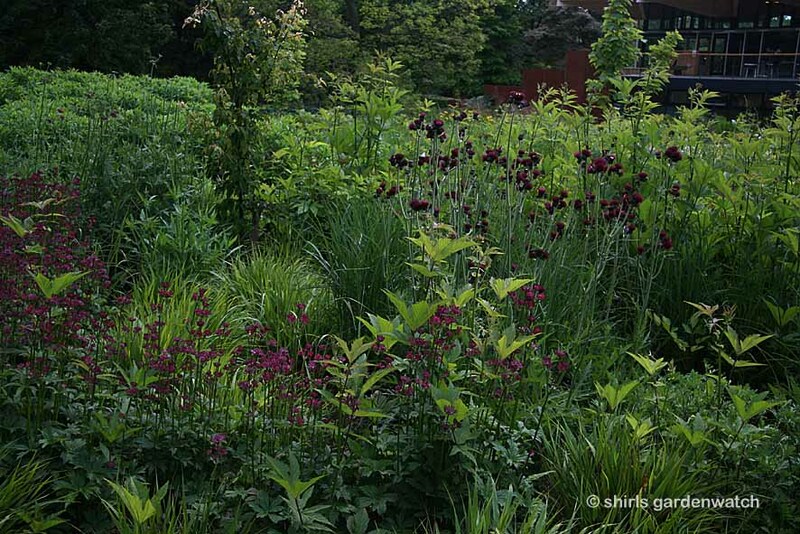 New borders in a garden always catch my eye. I love the excitement and expectation they bring. I also love to see new ideas and plantings too. I rather like this one at Edinburgh Botanics. 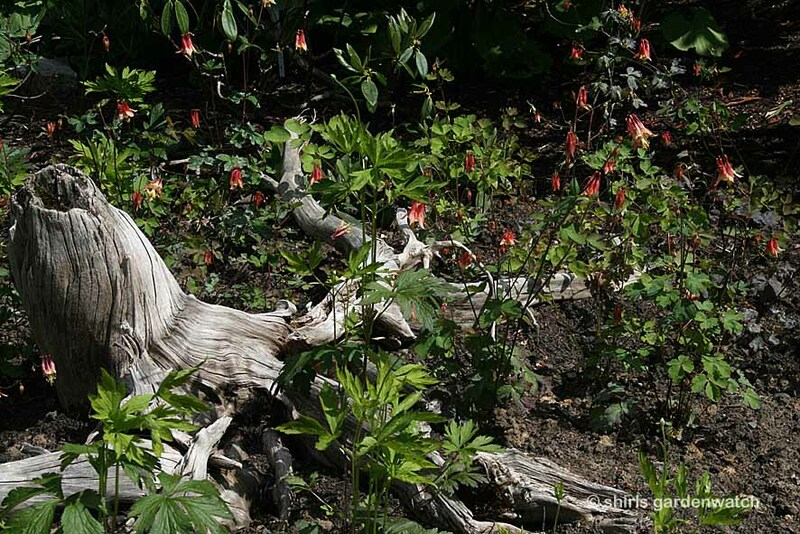 I love the use of tree stumps and the plantings ranged from Ferns and Hostas to more exotic looking plants. The delicate Aquilegia blooms caught my eye. 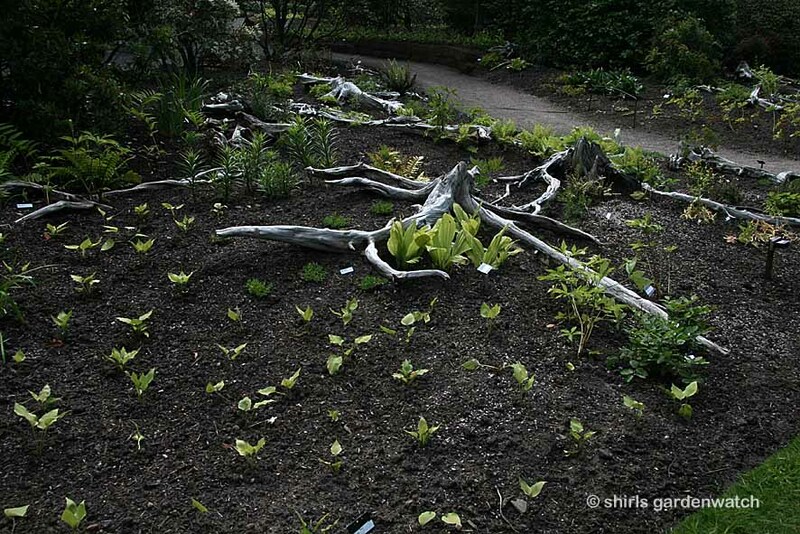 Of course, as in all gardens that are regularly visited, there was one planting I went expecting to see. I knew that it might be at optimum flowering. It was and I wasn’t disappointed. Yep… that infamous blue poppy that appeared in my last post at the end of May… the Meconopsis. 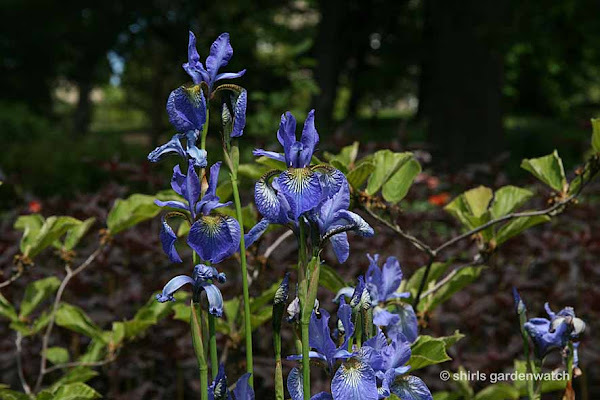 Today, on the 15th of the month, many garden bloggers will have joined Carol at May Dreams Gardens in Indiana, USA in posting on what’s flowering in their gardens today. It’s always fascinating to see how far ahead/behind plants are in other parts of the world on the same day – take a look here . Back in my own garden I have been busy between showers (and during) trying to get it back into order and refreshing border plantings too. LOL…. the more I do, the more I find I need to do! 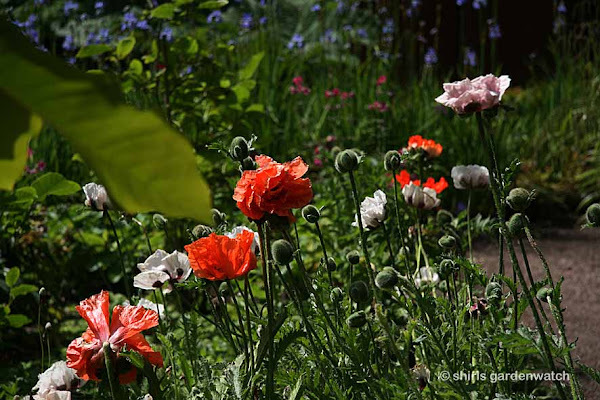 Garden birds continue to bring wonderful life to my garden and when I stop evening gardening I find myself sitting at my PC monitor watching for Hedgehogs wandering by outside in my garden. Tonight, it’s raining and I don’t usually see many hedgehog sightings on nights like this. 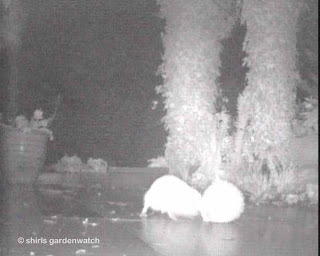 However, the new ‘garden integrated’ location for Hedgehog Manor (hedgehog feeding station) is proving quite popular as I’ve seen via an IR camera inside. There have been four sightings tonight and I'm fairly confident that includes the same one twice. 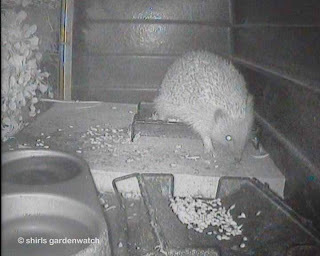 I’ve located another cam outside and as I have been writing this post seen the second hedgehog spotted dining in Hedgehog Manor tonight chasing another hedgehog away outside when it saw it approach. Hedgehogs really can be quite boisterous towards each other. Bulldozers is a description I have heard regarding their behaviour and that is pretty accurate. 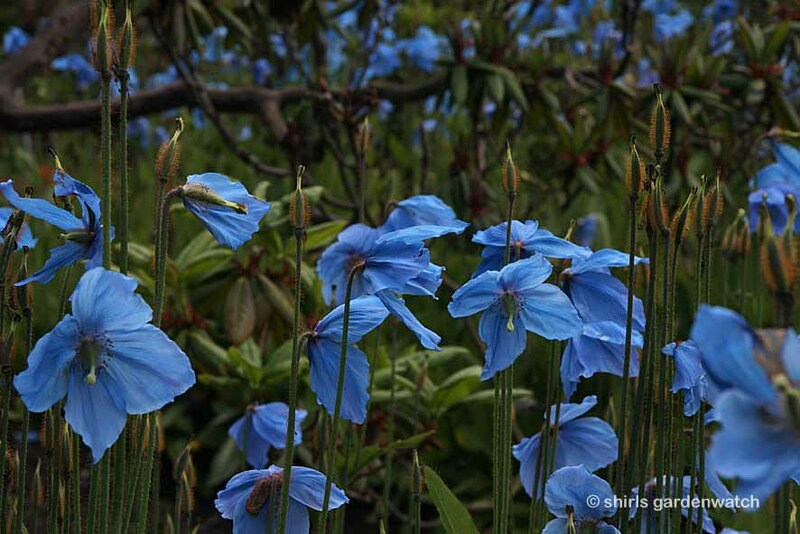 Wishing everyone taking part in Garden Bloggers’ Bloom Day – a good one! I’m guessing the rain has caught many people/gardens out in the South of the UK and in Wales where there has been much flooding. It’s been a lot brighter up our way here in Scotland but we are getting some showers now too. 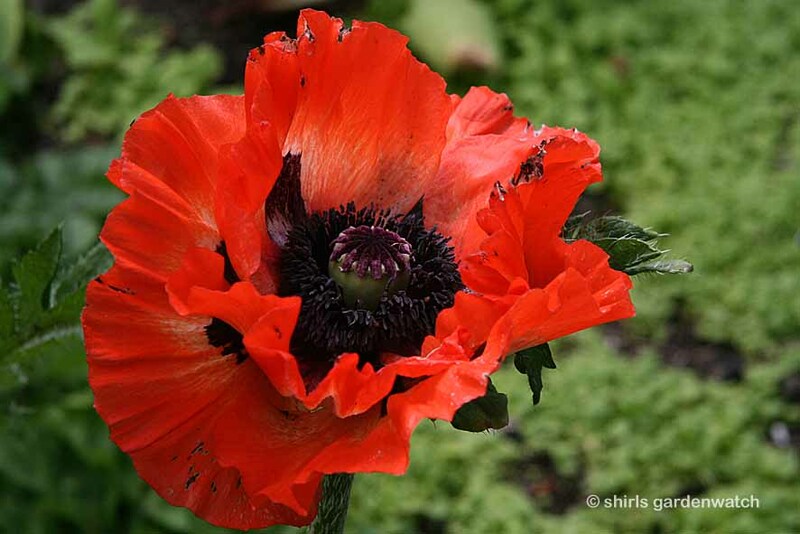 This post was written by Shirley for shirls gardenwatch in June 2012.